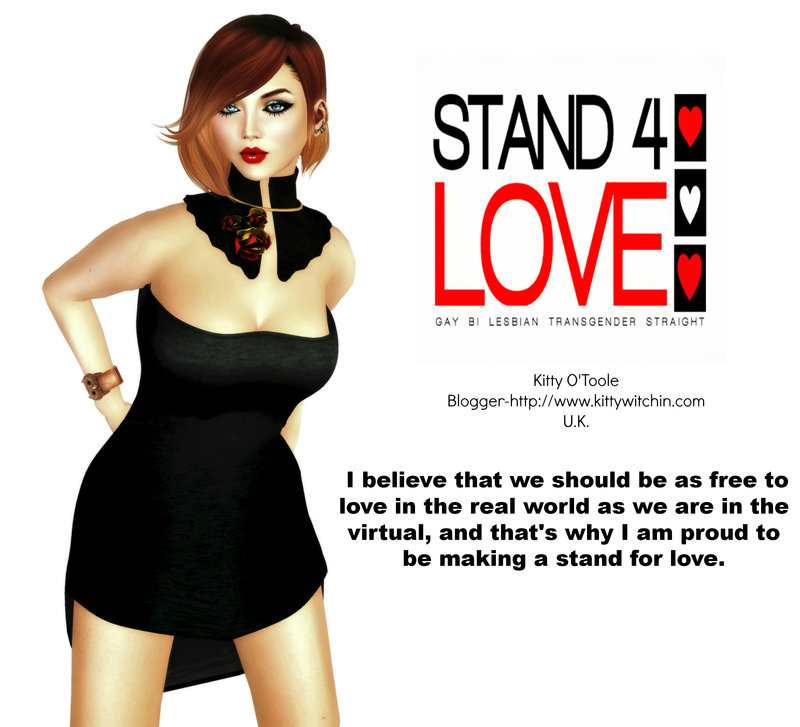 The same could be said for Second Life; never judge a company by the name. If you’d asked me what RealEvil Industries retailed in-world I would have said something to do with role-play perhaps, I dunno, swords and armour for the medieval crowd? Imagine how surprised I would have been to discover that this brand is behind some of the most satisfying necklaces, earrings and wrist-watches that you’ll find anywhere on the grid. They have a stand at JEWELRY FAIR 2014 and I strongly suggest that you visit. You’ll find a number of outstanding items on display at great prices and oozing quality, with timepieces and jewels that feel substantial to wear and look extremely expensive too. But here’s the thing; they aren’t at all! In this picture I piled on some of the pieces that you’ll find at the Jewelry Fair. 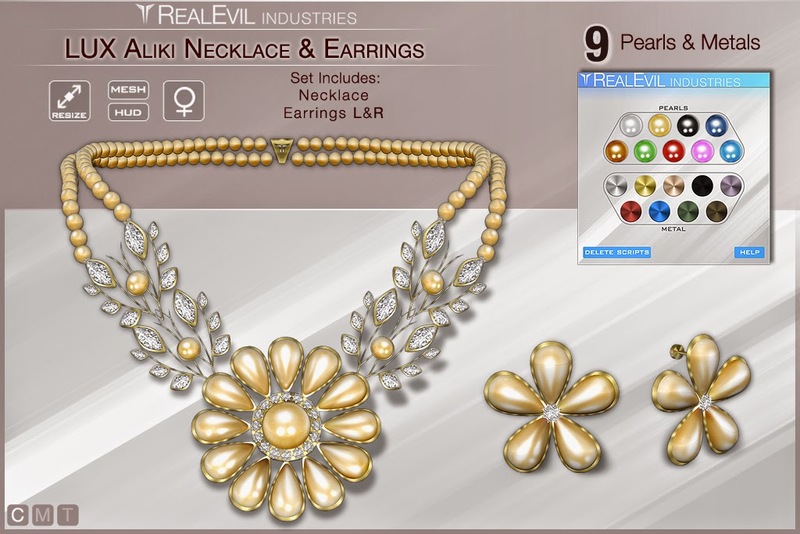 First of all I am wearing the ‘Lux Aliki Necklace & Earrings’ set, which features 9 different pearl and metal colours to choose from. This whole ensemble adds an incredibly classy touch to an outfit, and combined with my hairstyle I feel like I’ve created a modern take on Audrey Hepburn’s classic ‘Breakfast At Tiffany’s’ look. Even more astonishing the set is just L$199. An absolute bargain price for such quality and versatility! 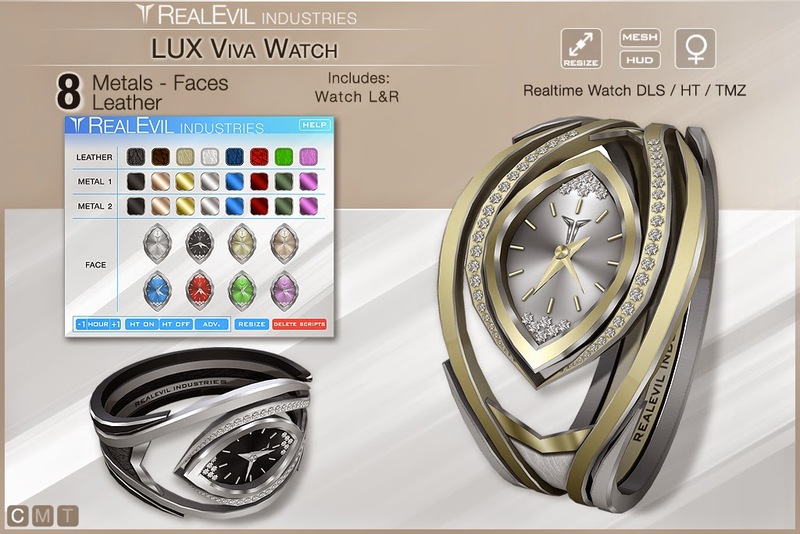 On my left wrist I’m wearing the ‘Lux Viva Watch’. Again this item features a HUD packed with options for 8 different faces, metals and leather designs. It’s also a working wristwatch that you can set to your preferred timezone. Zooming in on this piece is particularly satisfying because it’s bursting with detail, but then again so is the wristwatch set that I’m sporting on my right wrist too, the ‘Revox MTX Watch‘. It comes in male and female versions and can be worn with an additional bracelet should you so wish. This is a really grand, chunky and substantial statement piece and is super-customisable. 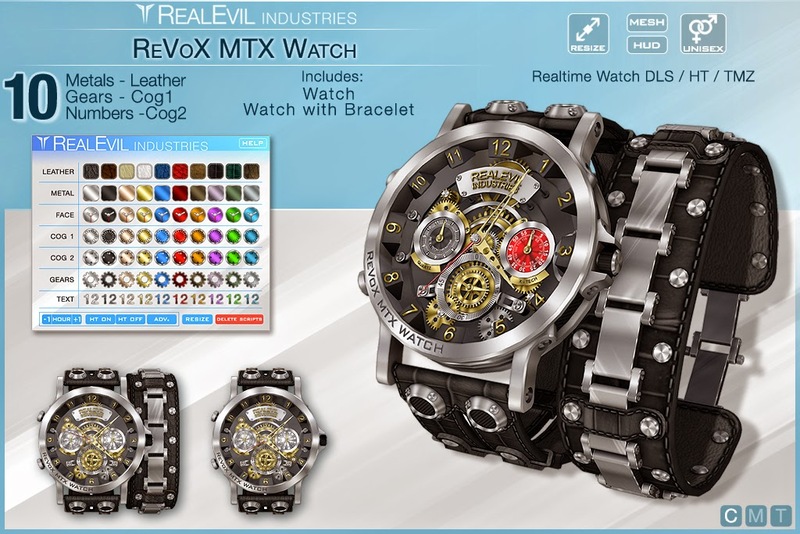 You can choose from ten different metals, and also change the colour of your gears, leathers, cogs and numbers to make a combination that is truly individual and will really get you noticed. I’m delighted to have discovered this brand, and it’s one I will definitely be wearing a lot in the future. If you’d like to peruse the entire collection that is on offer at Jewelry Fair, click here, and once you’ve had a look, click HERE to be transported to their booth at the fair. Look out for me wearing more RealEvil Industries items in future posts too!